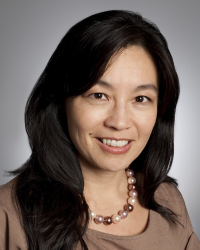 Ann Lee focuses on issues of global economics, finance, and U.S.-China relations. A former investment banker and hedge fund partner, she is a frequent media commentator on economic issues. In addition to television and radio appearances on MSNBC, Bloomberg, ABC, CBS, CNN, CNBC, Fox Business, and NPR, her op-eds have appeared in such publications as The New York Times,The Financial Times, The Wall Street Journal, Newsweek, Businessweek, Forbes, Harvard Business Review, The American Prospect, and The American Banker. She has been quoted in hundreds of publications and has been an invited speaker at numerous industry and academic conferences. Ann is also an adjunct professor of economics and finance at New York University and a former visiting professor at Peking University where she taught macroeconomics and financial derivatives. While she was teaching at Peking University, she also acted as an economic adviser to Chinese economic officials as well as to several large Chinese asset management firms. She was educated at U.C. Berkeley, Princeton University’s Woodrow Wilson School of International Affairs, and Harvard Business School.